Celebrating the installation of the floating art piece in Hong Kong. To celebrate the launch of his KAWS:HOLIDAY floating art piece in Hong Kong, KAWS recently unveiled a commemorative plush set to be released alongside the limited edition merch already revealed. 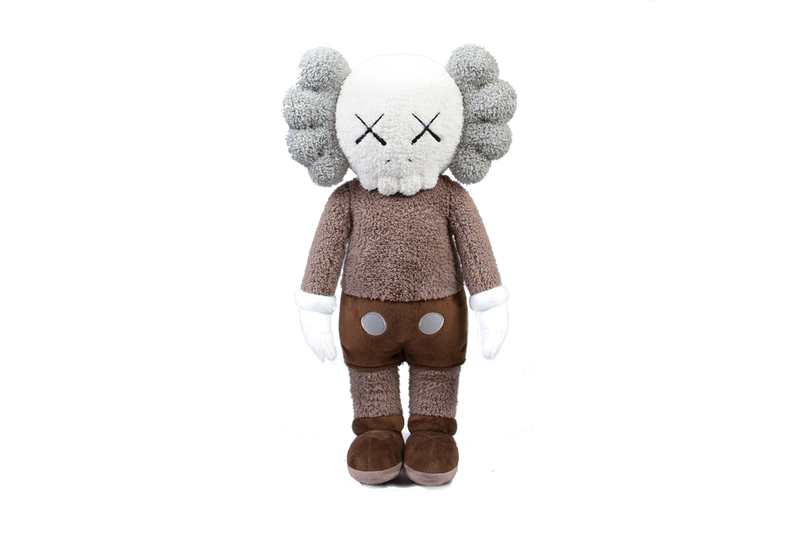 The plush set features three 20” KAWS Companion stuffed dolls done in the artist’s signature black, white and brown color schemes. Additionally, the plushes feature bendable appendages which offer an array of pose options. Limited to 2000 units, each set will come in a special numbered KAWS:HOLIDAY Hong Kong box. Similar to the outdoor installations that took over Seoul and Taipei, the upcoming iteration of the aquatic art series will serve as a major draw for Hong Kong Arts Month which will see art goers and galleries pouring into the city for events like Art Basel Hong Kong. Take a look at the special plush set above and look for it to release at Ding Dong Takuhaibin March 21 9 p.m. EST/ March 22 9 a.m. HKT. In case you missed it, take a first look at KAWS’ KAWS:HOLIDAY installation set to take over Hong Kong’s Victoria Harbour. ‘You vs Wild’ debuts April 10. With a special tribute to the late Smoke Dawg.